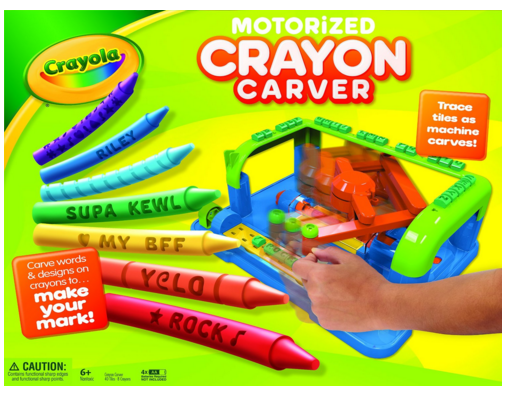 Crayola Crayon Carver Just $20 Down From $30! You are here: Home / Great Deals / Amazon Deals / Crayola Crayon Carver Just $20 Down From $30! Here’s a fun Christmas gift idea. The Crayola Crayon Carver is just $20 down from $30 on Amazon! Get yours now while it lasts! Motorized for easy customization ; Easy tracing process yields a great outcome; Carve designs into jumbo or standard crayons!